There’s just something about frozen bananas. I love the sweetness and smooth texture they add to a smoothie and they make for a great simple snack or dessert that won’t make you fall off the healthy eating wagon. 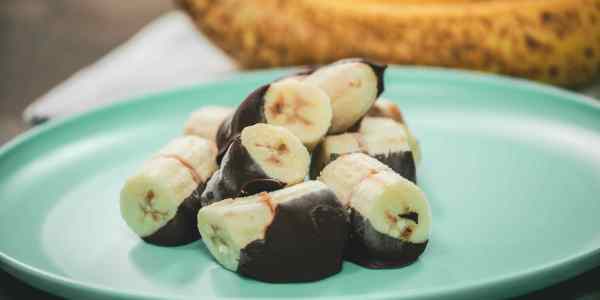 These chocolate dipped banana bites are so tasty and you don’t have to feel guilty for indulging in a few pieces. I like to dip mine half way into the chocolate so they’re more of a snack than a dessert, but fully dunking them in the chocolate is also a really delicious way to go if you’re feeling more indulgent! <center> ``Quick tip: Stick a toothpick in the center of each “sandwich” before freezing- it will make the chocolate dipping process much easier!`` ####Chocolate Dipped Banana Bites Prep time: 2 hours | Serves: 3-4 </center> ####<b>Ingredients:</b> 3 large bananas<br> ⅓ cup peanut butter (or nut butter of choice)<br> ½ cup melted dark chocolate<br> ####<b>Directions:</b> 1.) Slice bananas into slices about ¼-½ inch thick. 2.) Spread a little nut butter onto a banana slice and stick another on top to make a “sandwich.” 3.) 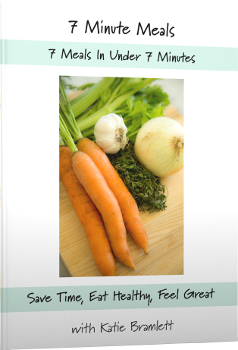 Place on parchment paper on a baking sheet and freeze until solid, about an hour or two. 4.) Melt chocolate and remove frozen banana bites from freezer. Quickly dip each banana bite in chocolate and place back on the pan. Freeze for another hour before serving.